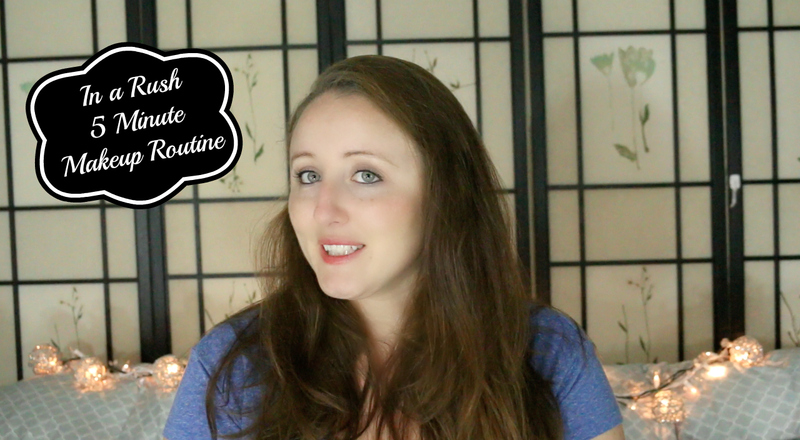 I try to always be on schedule but we all have those days where it’s just hard to get out of bed and get moving, so I thought I would share with you guys a super fast and easy makeup routine that can be done in literally 5 minutes. I always keep some “Staples” in my makeup bag so that if I do ever have days where I’m in a rush I won’t be running around my bathroom trying to find things. 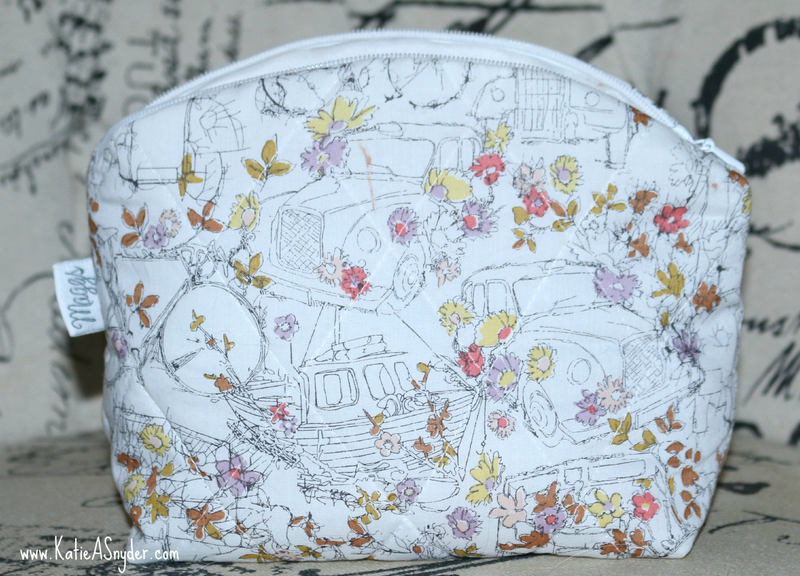 This is my Maggs London bag, it’s been in my favorites a few times, I find it’s easier to maintain my ‘staples” when I have a nice bag that I store them all in on my bathroom counter. The first thing I used was my Sei Bella eyebrow pencil, I feel like if my brows are filled in (you guys know how sparse mine are), I can pretty much go out with nothing else on my face and still be considered acceptable. 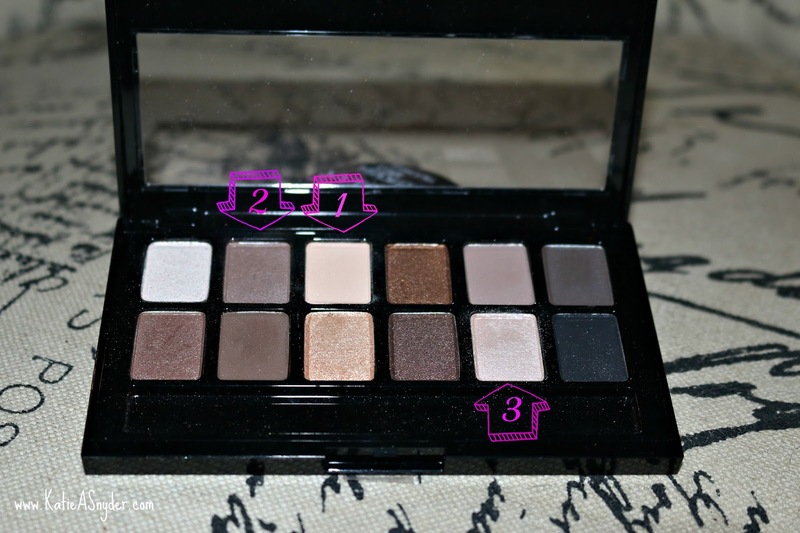 I then used the Maybelline The Nudes Palette, the eye shadows in this palette are not named which always irritates me hahaha, but I stuck little arrows and numbers on for you guys. I started with the 3rd shade on the top row marked 1, its a nice peachy fleshy tone that is able to cover up my black-blue vainie eyes so I could avoid the extra time it takes to conceal and powder. 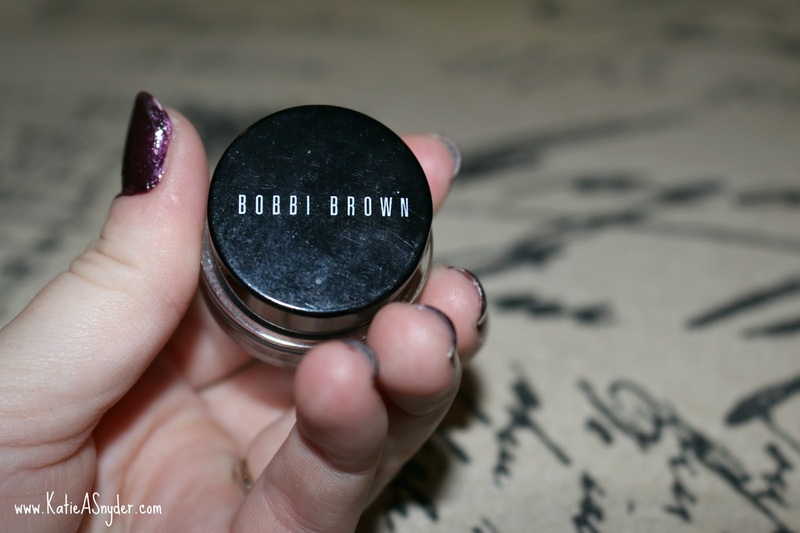 I applied this color all over my lid going all the way up to my brow bone. I then used the 2nd shade on the top marked number 2, this is a light shimmery brownie-purple color that I applied to the crease area and dragged it slightly out because of my hooded eyes. Then I used the 5th color on the bottom row marked 3, this is a super light violet shimmer color and I applied this to my actual lid area blending slightly into the crease. 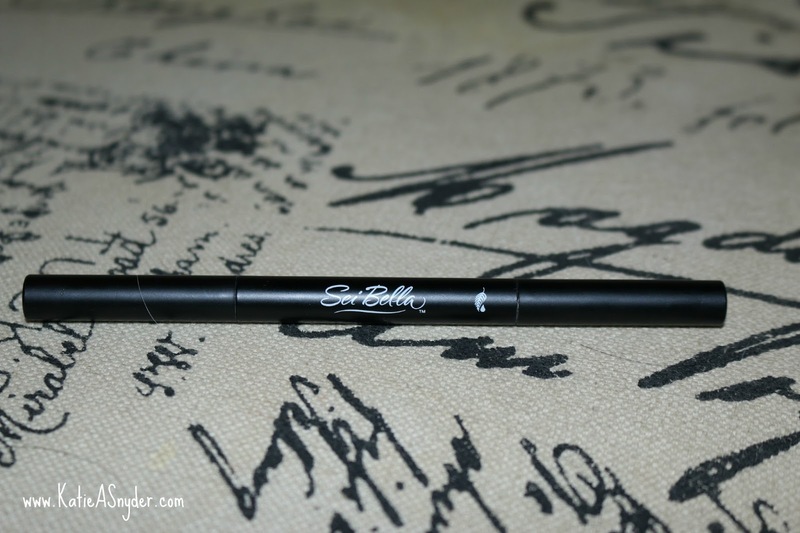 I then used my Bobbi Brown Gel Liner with my ELF Angled Liner Brush and applied a very thin line along my lash line. 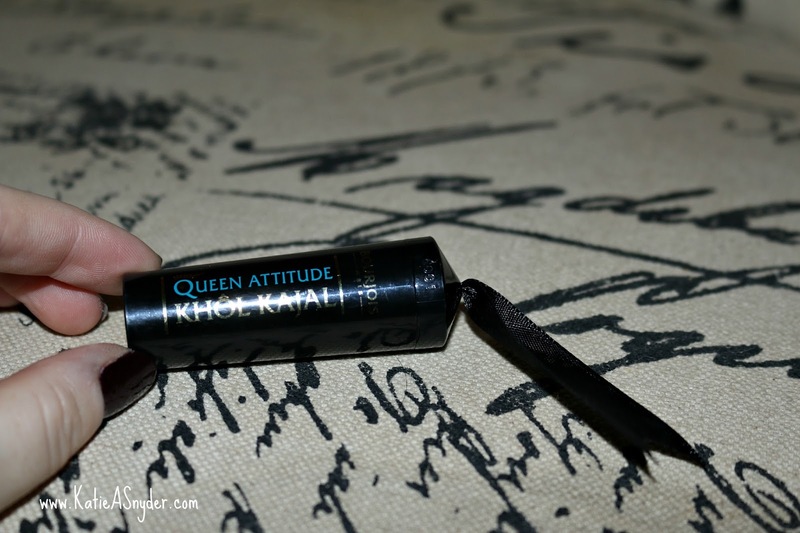 Then using the Bourjois Queen Attitude Khol Kajal Liner I used this to tight line as well as do my water liner, I wish I wouldn’t have done my waterline because it became too dark and dramatic for such a light look, but only having 5 minutes I didn’t have time to remove it. 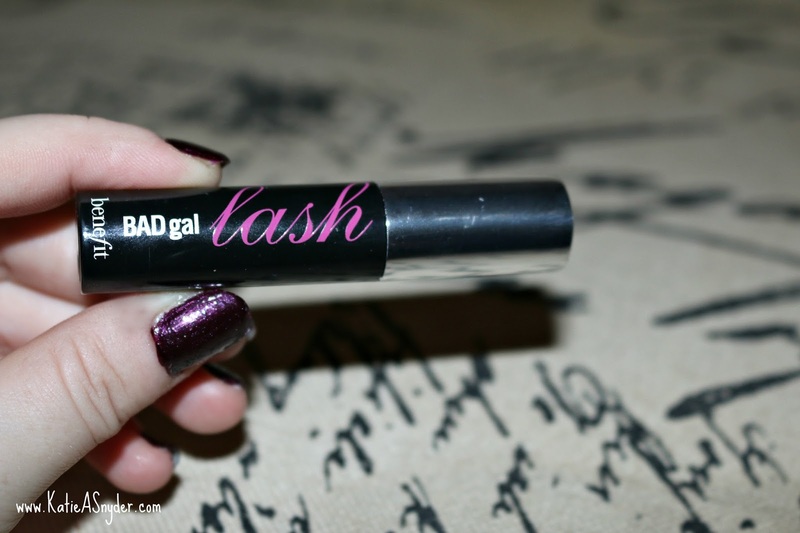 Then using the Benefit Bad Gal Lash Mascara I applied this to my top lashes to get a really natural lash with a tiny bit of extra length and volume. 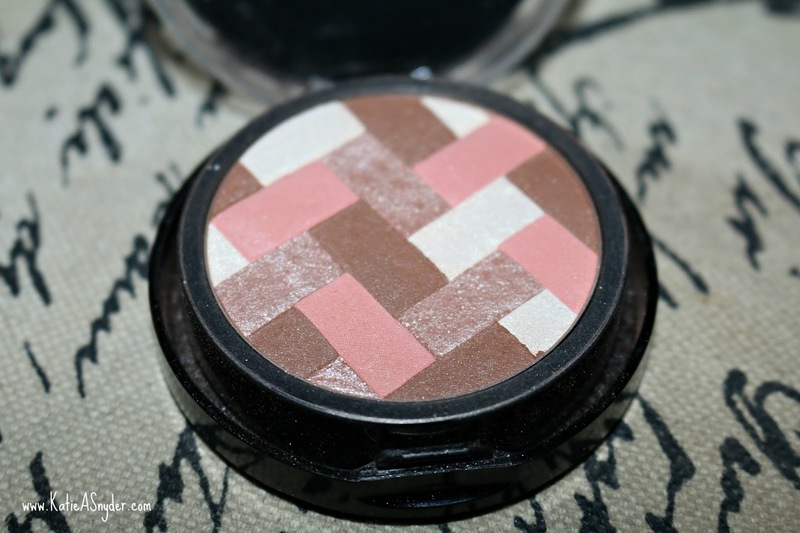 Then I used my Maybelline Master Hi-Light in Light Bronze, this helps add a bit of color to your face and because it’s a bronzer, highlighter, and blush all it one it will add the color without taking to long. 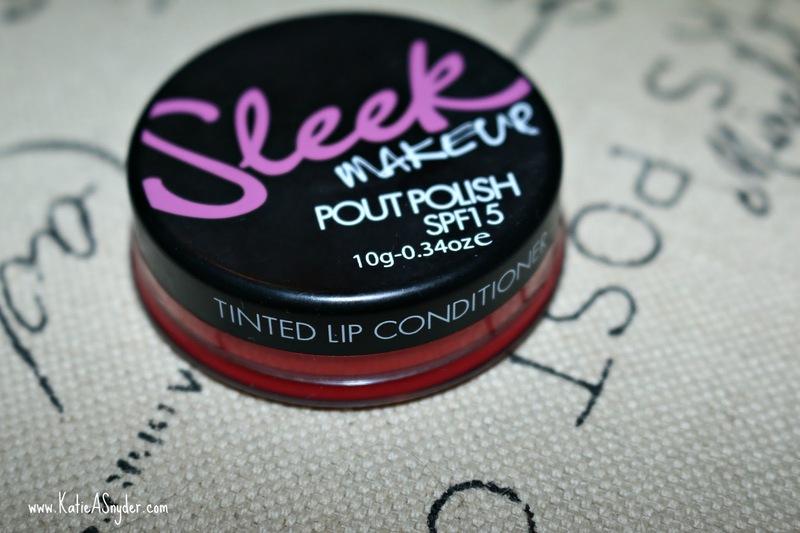 Finally I used the Sleek Pout Polish in Electro Peach, I chose this lip balm because when I where this look it’s so toned down that I feel like I need a pop of color and the Pout Polish is so easy to apply you don’t need a brush or councilor you can throw it on and go. I know after reading this your probably thinking it took my the five minutes to ready this so it must have taken longer to apply, I filmed a video of this and placed a time in the corner just to prove that it only takes 5 minutes to put a bit of makeup on and then I feel better about myself the rest of the day. Next Post Workout Wednesday: Look Better Than Kate Hudson!